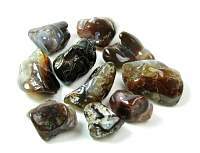 Agate Fire Tumbled StoneBrenda Cooper2018-07-20 https://www.ravenandcrone.com/catalog/images/fire_agate_tumbled_stone_tn.jpg Fire Agate is such an interesting stone and these tumbled pieces did not disappoint. 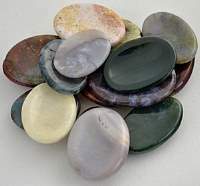 Agate Blue Lace Tumbled Stone SMALLBrenda Cooper2018-07-20 https://www.ravenandcrone.com/catalog/images/blue_lace_agate_tumbled_stone_tn.jpg These were the perfect size for the grid I was creating. 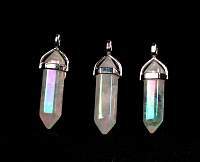 Beautiful pieces I'll be ordering again. 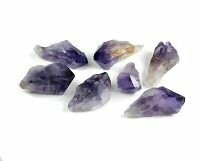 Lapis Lazuli Faceted Crystal Massager 3 inchanita carroll2018-07-18 https://www.ravenandcrone.com/catalog/images/lapis_massager_faceted_tn.jpg This is a lovely Crystal but have not used it extensively to give a review with much background my p..
Amethyst Natural Crystal Points 1.5 - 1.75 inch BrazilBenjamin Welker2018-07-17 https://www.ravenandcrone.com/catalog/images/amethyst_natural_point_2.5_tn.jpg All of the amethyst pieces are unique and gorgeous, the entire reason I bought these was to break on..
GWOR: Jasper Worry StoneLaurie Flores2018-07-02 https://www.ravenandcrone.com/catalog/images/worry_stone_crystal_jasper_gwor_tn.jpg I so enjoyed the choices of the 3 stone. that was perfect! 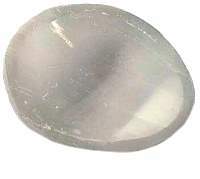 GWSELWS: Selenite Worry StoneLaurie Flores2018-07-02 https://www.ravenandcrone.com/catalog/images/selenite_worry_stone_gwselws_tn.jpg This stone is very very fragile. most of them actually were in two parts. Which was perfect for the ..